With the beginning of September looming it is, unfortunately, time to start readying for fall. As kids are heading back to school, it’s a great time to prepare your car for the cooler weather. By making sure that your vehicle is ready for the cold, you’ll be able to experience a winter free of unexpected breakdowns, avoiding being left out in the cold without transportation. Schedule a comprehensive service appointment. Whether it’s for BMW service or Toyota repair, you’ll need to protect your investment with full-service maintenance to keep you on the road. Report any problems with sluggishness, hard starts or rough idling to your St Charles mechanic in order to have them taken care of before the cold weather makes these issues worse. Consider adding a fuel deicer to your gas tank once a month and keep your tank close to filled as it cuts down on the formation of moisture in the tank. Change your oil and filter more frequently if driving in harsh conditions over the cooler months. Have your cooling system flushed and refilled as recommended by the manufacturer. During your next import or luxury vehicle repair appointment, have your mechanic check the drive belts, clamps and hoses for any condition problems. 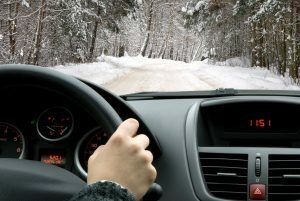 Check heater/defroster operations and make sure that your windshield wipers work properly and that the blades are good and wiper fluid is filled to appropriate levels. Make sure that battery posts and connections are clean and have the battery checked for any possible leaks or charging issues. With proper care and vehicle maintenance you’ll be ready to take your vehicle through the next Missouri winter with ease and comfort. Schedule your appointment with St. Charles’ Top-Rated Local auto repair center now.